On New Years Day, the Melbourne Beach Historical Society held a walking tour of the town’s historic district. Fred, Bonnie, Diana and I tagged along, as we all wanted to know more about the area’s past. While the area is rich with history, our presenter failed to deliver the story in the riveting manner it deserved. We also picked up on the fact that impartiality was not his forte. He is handing over the reigns to a new historian next year, so we will be sure to check that presentation out. And remember Cuki the sailboat? Hurricane Irma ripped her loose from her mooring in Key West and sent her on a 350 mile journey to our beach back in 2017. Time, vandals, and the ocean had not been kind to her, with her masts and fittings disappearing in that period. With the ship being buried in sand to its’ inland gunwale, the decision was made to haul it away in a couple of refuse roll-offs. It was a mess, to say the least. Speaking of fiberglass; our rig was ready for it’s annual wax job. Look at that shine! I can’t say enough about that three-part Meguiar’s restoration system I use. We get it through Amazon, but I’m pretty sure West Marine carries it also. We also want to give a shout out to whoever manufactured the decals for our 2007 Colorado fifth wheel. Twelve years of sitting outside and they look practically new. They are proof that it IS possible to make decals that stay put and look good. While I was waxing, Diana was deep into her genealogy. We both signed up for Ancestry DNA when the kits were on sale on Black Friday. She has been building her family tree, which has been very fun! I am starting my tree this weekend, as I delayed the start to allow time to finish my UPS job and the annual rig maintenance. We have to say that Ancestry.com is very good at what they do, and they have been very helpful to Diana on her journey to discover her family’s origins. The amount of information contained in their database is mind boggling. We’ve also become huge fans of the PBS show Finding Your Roots, which is hosted by Henry Louis Gates, Jr. Check your local listings and give it a look. It is fascinating! We also have an update on the powered parachute pilot who got tangled in the utility lines near us. Dima had been in an induced coma since the middle of November until recently, while the doctors in Orlando worked to repair his broken spine and graft his burns. It was a tough few months. Needless to say, we were thrilled to see this photo that his wife Katya posted the other day. 🙂 He is one lucky man. Midway through my waxing duties, Jerry and Ron invited me to tag along on a trip to the Mecum Auction in Kissimmee. We went on a Tuesday, which was not an active auction day. That meant there were less crowds! Here is a predecessor to my truck, Henry. Those front fenders are wide enough to land a plane on! And here is a salmon Edsel convertible. Diana’s Escape, Edsel 2, would be proud. While the auction was mostly cars…close to three thousand of them… there were a few boats sprinkled in. This Gar Wood boat was built in Detroit. My paternal grandfather had a boat similar to this. Top speed on this beauty was in excess of 70 miles an hour! Looks like the value of these things have gone up a bit. Talk about taking your breath away! We all agreed that we’ve never seen so many near-perfect cars in one place, and the three of us have seen our share of vehicles in our time. The cool thing about the auction is that you are allowed to sit in most of the vehicles. Being able to do that brought back a lot of memories for us. January has seen a group of us checking out the local music venues. and the moonrises. We’ll be back with an update on our 2019 travel plans in early February, as we should have everything in place by then. It is going to be an exciting year, to say the least! Until then, safe and happy travels to all! One thing about being Midwest natives spending the winter in Florida is that the weather messes with our minds. Seeing Valentine’s Day candy in the store still strikes us as odd when it feels like summer. Shouldn’t we be seeing Back to School sales? 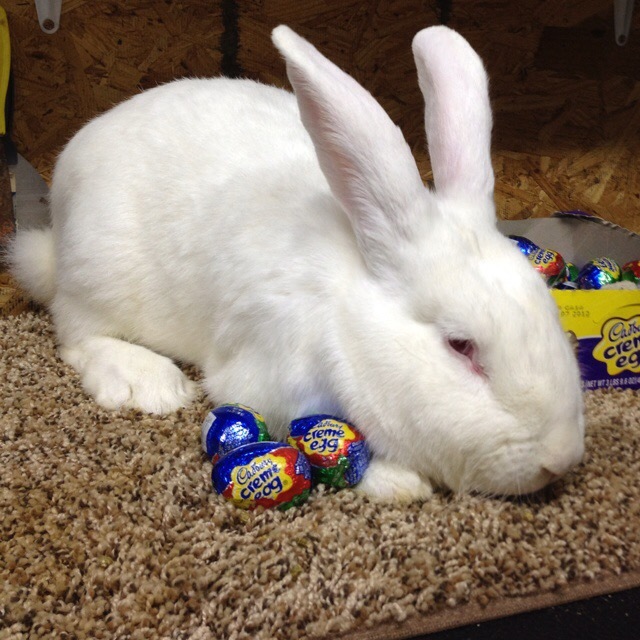 Nope…and before you know it, there will be Cadbury Creme Eggs on the shelves at Publix! Since our last post we’ve had a change of thought on our trailer brake maintenance. 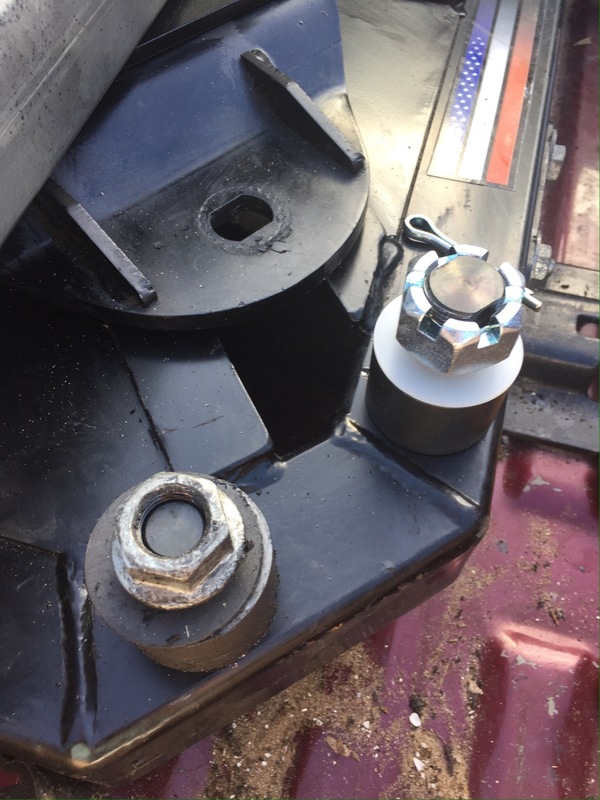 After pulling one of the hubs on the trailer for inspection, I saw that the electromagnet was wearing unevenly. Likewise, the inside of the hub that it was riding against was also worn in a similar pattern. Checking the prices on new hubs and brake parts led me to find that none of those items were very expensive. As a matter of fact, entire axles were relatively cheap. When we were weighed at the RV-Dreams rally, we were just under our maximum allowed weight for the fifth wheel. If we replaced just the brake parts and hubs, we would still have 5200 pound axles under the rig. After a little more research, we found we could upgrade both axle and spring assemblies to 7000 pounds Dexter axles for not much more money. We have a local axle shop here in Melbourne taking care of that for us. We also will be upgrading to heavier duty 16″ wheels and G-rated tires. That will all take place in Mid-February. Our friends Rod and Mary had us over to their house for shrimp and rice stir fry one evening. We had a nice evening by their pool with wine, food and frisbee tossing to their dog Gracie. 😃 It’s always fun being with them! 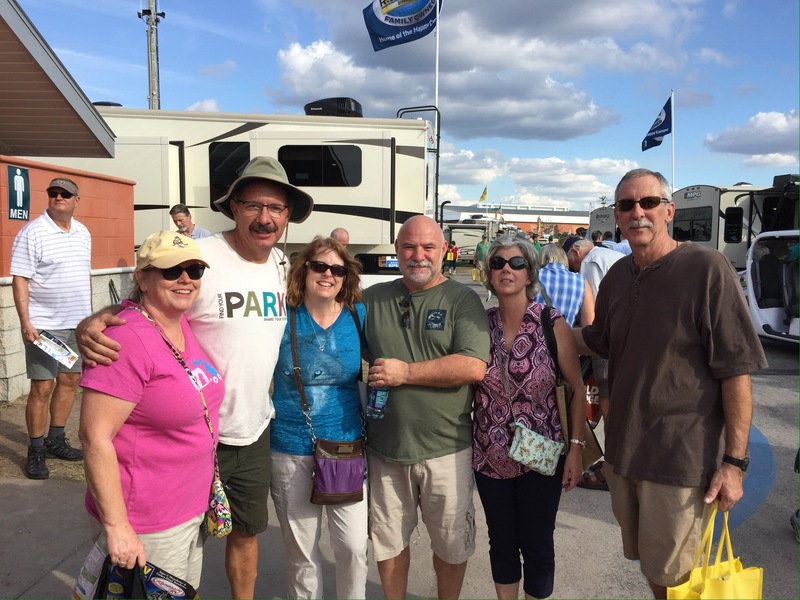 Here we are with Kelly and Bill in the center, and fellow RV-Dreamers Cindy and James on the right. We hung out on and off throughout the day and ended up grabbing dinner together afterwards. What a great time! We ended up talking so long that we decided to get a room in Lakeland on the way home, as it was three hours back to Melbourne Beach. One thing we were going to be giving up by going to the RV show was an evening launch at Cape Canaveral. Well it turns out that someone failed to warn a pilot that he/she was flying into the rocket’s path, so the launch ended up being delayed a day. Bad luck for NASA, but good luck for us! 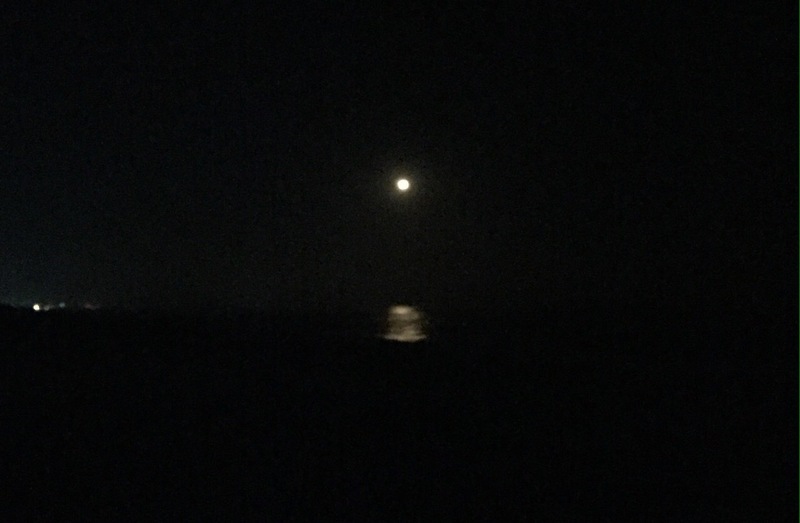 Half of our park seemed to flock across A1A to the beach to watch the launch. The Atlas V did not disappoint! Even though the Cape is 30 or so miles north of us, we could see the ship rise off the pad quite clearly. It took several minutes for it to pass by us to the south and east, and we were able to see the first stage burn out and the second stage ignite. We even saw a couple of shooting stars! Once the ship was just about out of sight, the low rumble of the launch finally reached our location. It’s amazing the difference between the speed of light and sound! 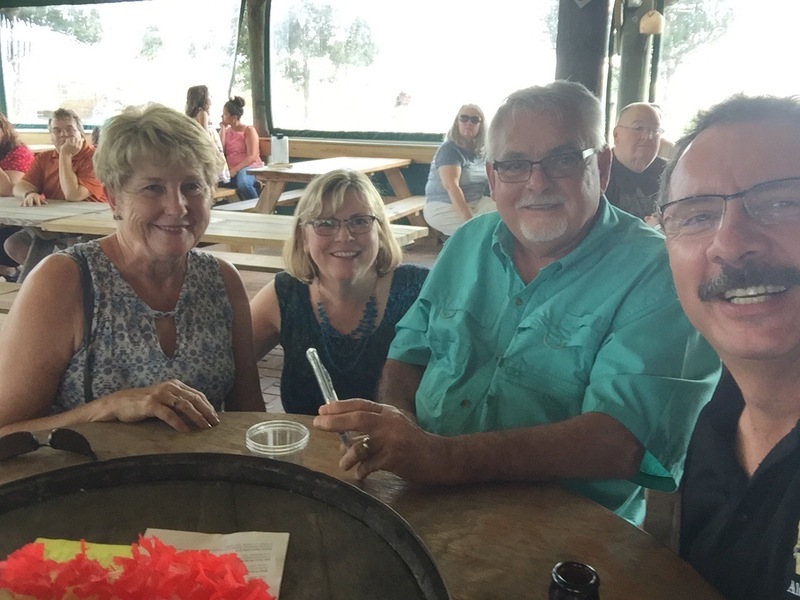 Last Sunday, we made it back down to Summer Crush Winery, as we were meeting friends who were staying in Ft Pierce. 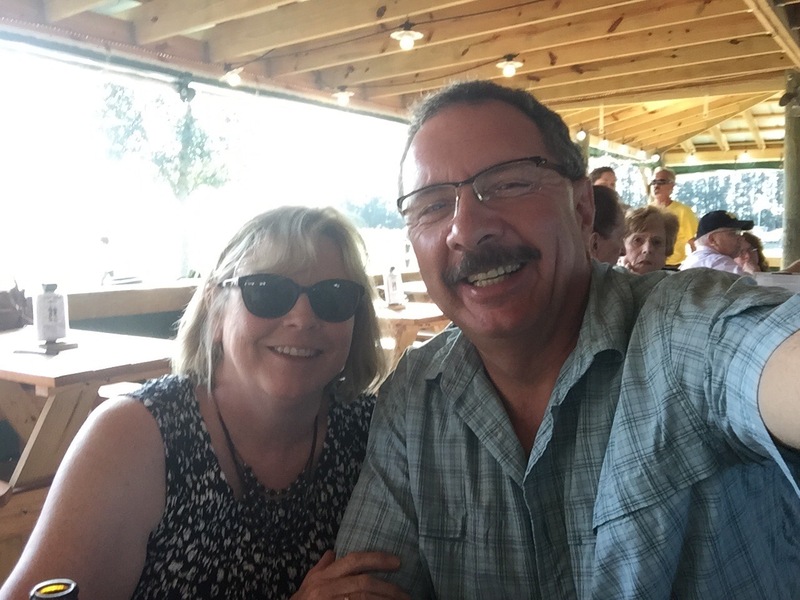 Phyllis and Bernie are renting a condo on the inlet, and they are really enjoying being here! Phyllis was the secretary at the school Diana taught at for many years. It’s always a good time when we get together with these two! If you remember from past posts, Summer Crush is a Harvest Hosts location. We first discovered it when we stayed there last year on our way to the Keys. Diana noticed an Airstream parked out back and was trying to figure out who it belonged to by scanning the crowd. At each of these events, the suggested donation to get in is $2 per person for a local charity, which can also be covered by a $5 raffle ticket. 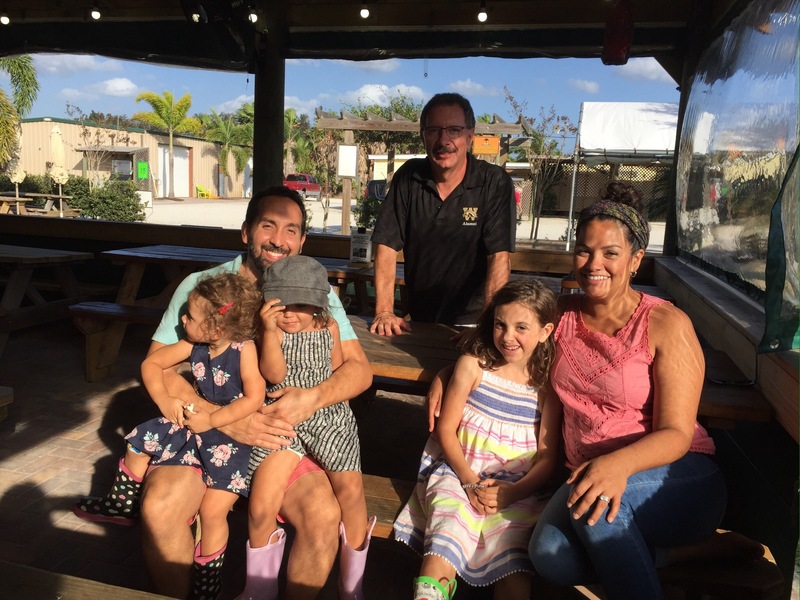 When Gary the owner announced that the winner was staying with them through Harvest Hosts, Diana scooted over to their table to introduce herself, as it’s always nice to meet other RVers. Yesterday, friends of ours from Amazon stopped by to say hi! Cassie and Joe worked in packing with us and were also at the same campground we were at near Campbellsville. They are currently staying south of us in Sebastian. We showed them around the park and caught up on what’s been happening with them. We forgot to get a photo, but we will be sure to when we get together over the next few months. That’s about it for now. We have been busy with spring and summer trip planning. At least I think spring and summer are next. We are still finalizing those plans, so be sure to stay tuned! Search and shop our exploRVistas Amazon link here! When we first got to Florida in December, after several months of working hard at Amazon, we initially thought we would just kick back and relax a bit. In a sense, we’ve done that…but we have also used the time to get several much needed projects completed. Diana has been taking care of paperwork, and preparing some very delicious meals. I’ve been tackling many of the maintenance projects we’ve needed to get done, which I’m about halfway through. We have made it a point to head to the beach as often as possible, so as to not miss any good beach weather. So far, the weather has been extremely kind to us! 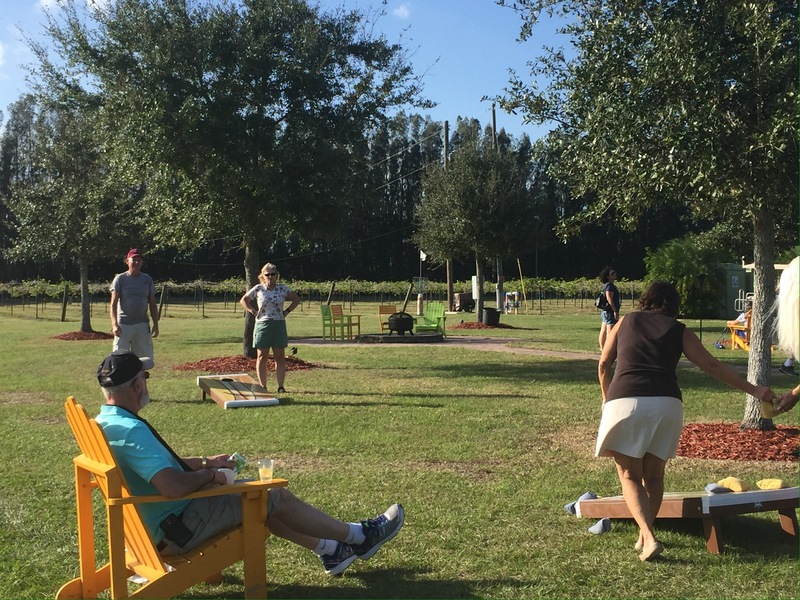 On New Years Day, we headed one hour south to Summer Crush Winery (formerly Endless Summer Winery) in Fort Pierce for their New Years Day celebration. We visited them last year as part of the Harvest Hosts. They have made a few improvements and are bringing in some big name acts, so we plan on making a few more trips down there. This is our 4th of the last 5th New Years that we’ve been in Florida, and it still seems surreal to us seeing people in summer clothes in January. 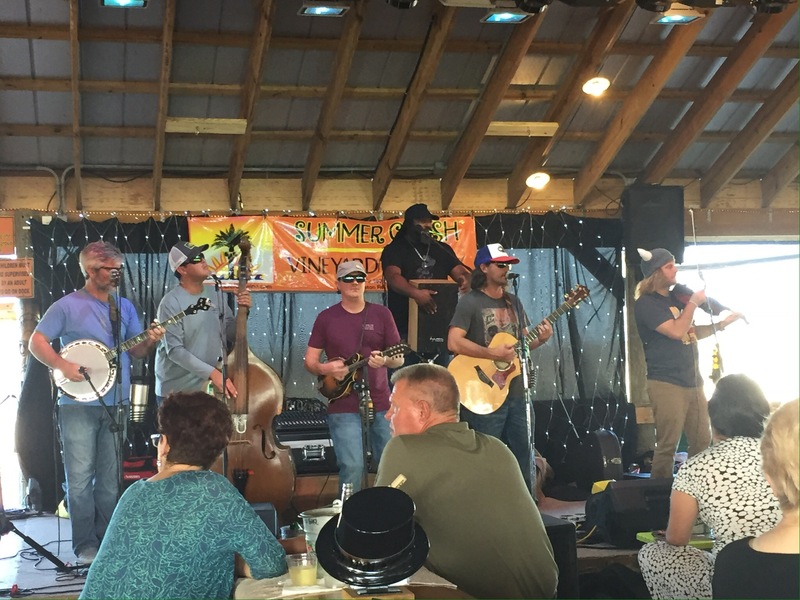 The Uproot Hootenanny Band provided the lively entertainment for the day. 😎. The base fiddle player reminded me of our friend Greg Young. I kept looking to see if his wife Cori was in the audience. 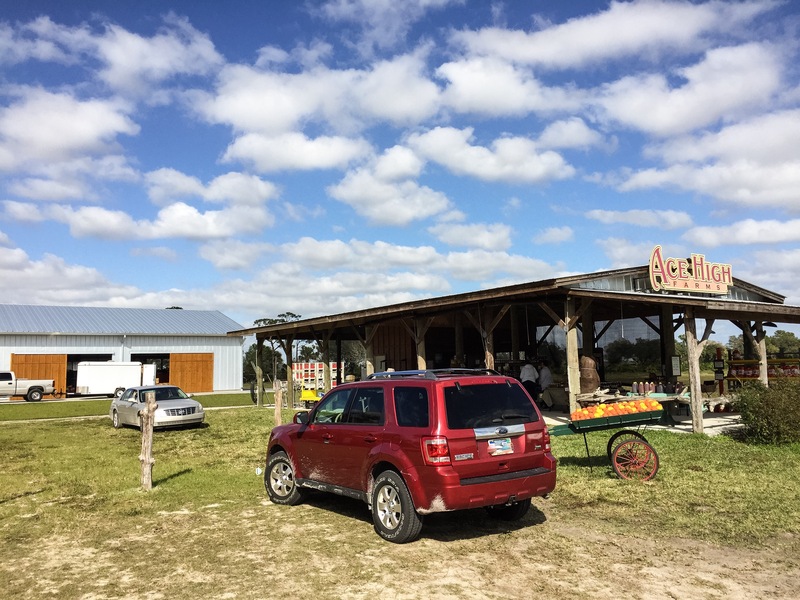 We also made a separate trip to Fort Pierce to pick up Honeybell tangelos from our favorite fruit stand, Ace High. Their harvest was a bit smaller this year, due to the effects of Hurricane Matthew, but what was left was delicious! We also visited the National Navy SEAL Museum in Ft. Pierce. SEAL stands for sea, air, and land. This is a very well done collection on the property of the original training grounds for the Navy’s elite frogmen. Outside there is watercraft, some of which you can go inside. There is also an obstacle course that children are able to explore under their parent’s supervision. Inside there is a very educational movie on the history of the SEALs, and several exhibits of weapons and gear that they have used through the years. Be warned that the movie at the beginning is about two hours long. We didn’t plan for this, so we were rushed to see the actual displays as a result. When we got back to the car we discussed how military museums leave us with mixed feelings. We certainly honor this elite military team and all of our nation’s service men and women, and we appreciate their defense of our country’s freedom. We also feel uncomfortable when war is glorified or presented in an action/adventure sort of way, as we found in a few instances here and at a few other facilities. If you find military museums to your liking, this one is worth your time. Our admission was $10 per person. They are open Tuesday through Saturday 10-4 and Sunday 12-4, and are closed on Mondays. One of the maintenance items we’ve taken care of thus far are front brakes on both vehicles. The Escape was just a matter of taking the front wheels off, removing the calipers and replacing the pads. The truck was a bit more involved, as the left front caliper that my friend Rod and I replaced last January was defective and not working properly. It consistently read 20 degrees hotter than the other side, and there was more wear on the inside brake pad. Luckily it was still under warranty, so I changed that out as well. In addition, our auto-slider Pullrite SuperGlide hitch needed some maintenance. The biggest issue was that the old tracking roller (the one to the left with the smaller nut) had come loose. Had it fallen out, we could have lost control of the trailer. The new roller (to the right) has a castle nut and cotter pin to prevent that from happening. Other than that, it needed a few minor adjustments to tighten up some of the play in the hitch travel. Oh, and then our refrigerator decided to quit on us. A few quick readings with a multimeter showed that it wasn’t getting any 12-volt power. Luckily it turned out to be a blown fuse. 😀. Thank goodness it wasn’t a fried circuit board, as this run over $100, and there are two of them. The only maintenance projects left are to replace the rear brake shoes on the Escape and all of the brake shoes on the trailer. That should be finished up in the next week or two, which leaves us the rest of the winter to play! Search and shop our Amazon link here!